New Formal Design! 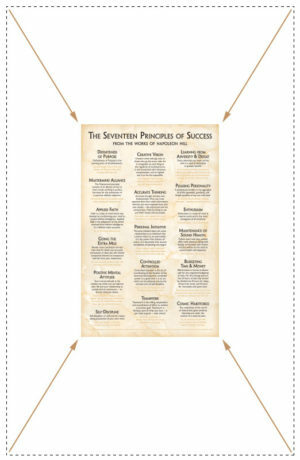 Content from the original 17 Principles Poster, redesigned using sophisticated typography on a light marble background. Compact Size! 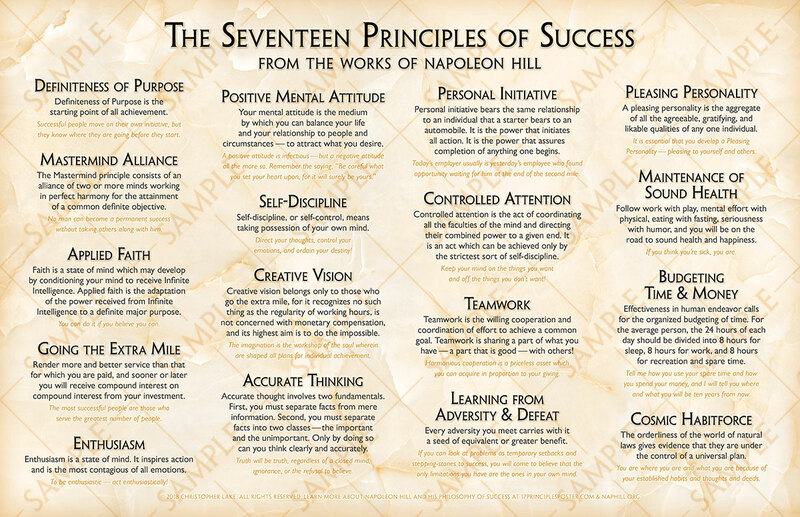 Full-color 11-inch by 17-inch poster explaining all 17 principles of Napoleon Hill’s Science of Success. 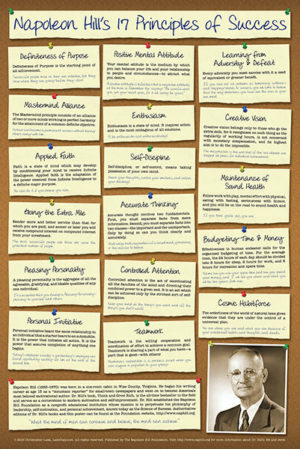 Each principle includes the principle’s name, a definition from Napoleon Hill’s works, and a brief comment or insight. 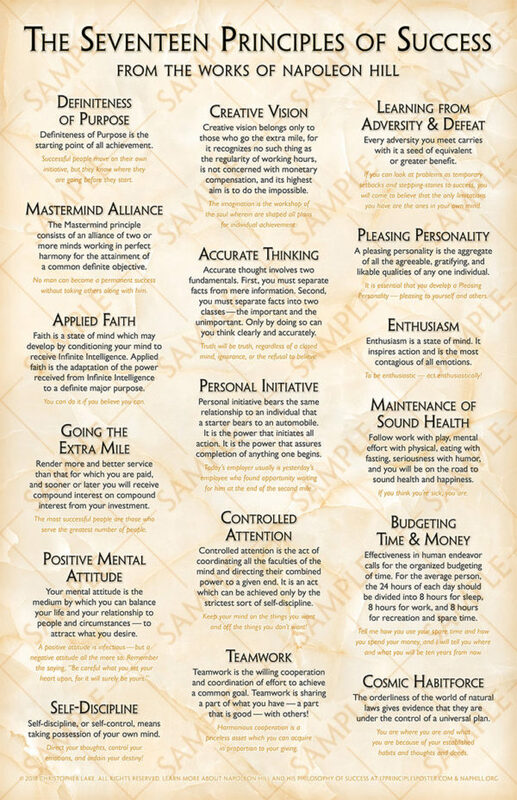 Printed double-sided with dual layouts — choose portrait or landscape to fit your wall space. Shipped rolled in a sturdy tube for safe, undamaged delivery. 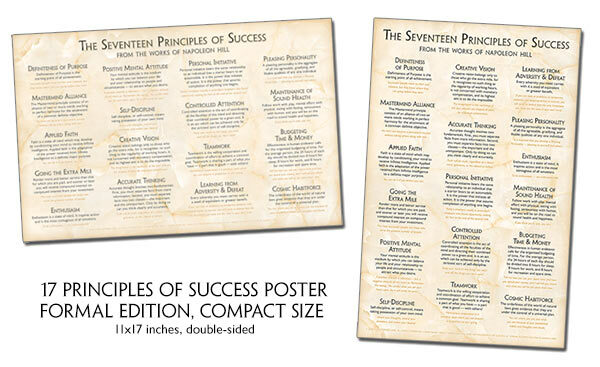 * Orders of 5 or more compact posters receive free Priority Mail upgrade (US only)! 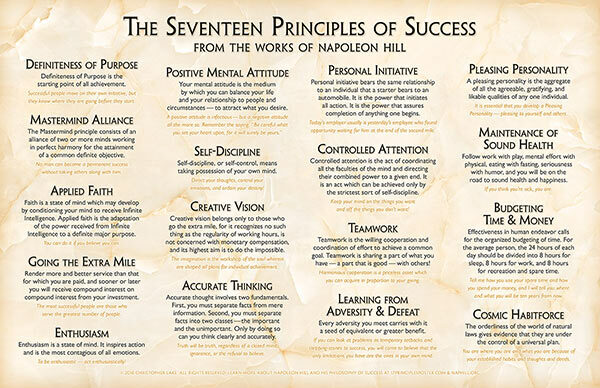 Full-color Compact Size (11-inch by 17-inch) poster explaining all 17 principles of Napoleon Hill’s Science of Success. 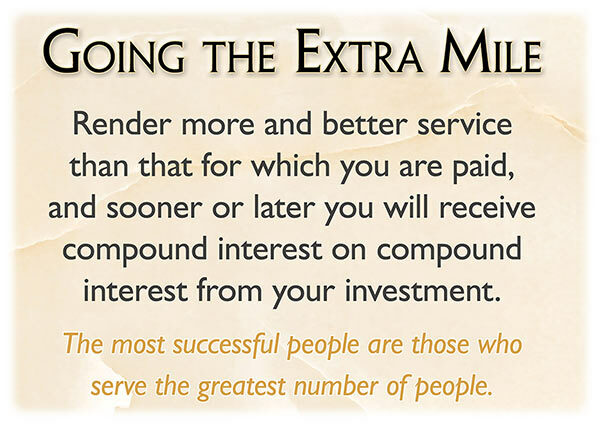 Sophisticated typography on a light marble background. 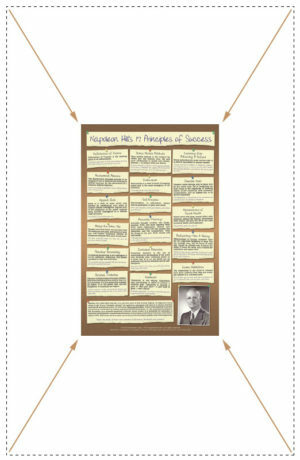 One side in portrait orientation (tall and narrow), one side in landscape orientation (short and wide). 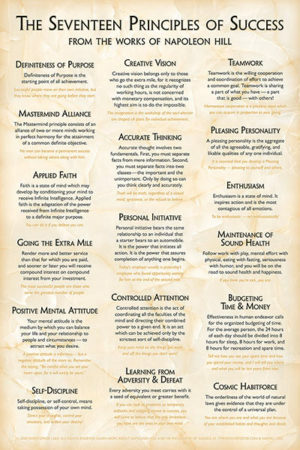 Printed on heavy 100-pound semigloss paper and ready for framing in a standard picture frame available at many retailers. Join our email list to receive news, promotions, and exclusive subscriber discounts, and receive a free 17 Principles of Success desktop wallpaper! Your e-mail address is only used to send you our newsletter and information about the activities of 17PrinciplesPoster.com. You can always use the unsubscribe link included in the newsletter.